If you're wondering about dental hygiene and what kind of dental hygiene will give you white and healthy teeth, then you've reached the right place. Taking care of your teeth and gums is utmost important, because not only do those 32 pearly whites help you chew and talk but they also help you look good; not to mention the mouth's direct connection with heart health and overall comfort. Over the years, dental hygiene has involved many tools and practises; from baking soda to datun, and more recently from normal toothbrushes to electronic toothbrushes. If your food or beverage is dark before you put in your mouth, then there is high possibility that it will stain your teeth. Give up, red wine, black tea, cigarettes, colas and dark juices if you want pearly white teeth. Though it is not possible to brush, soon after eating and drinking anything. But, if you want to maintain pearly white teeth and at the same time you can't get away with dark food, then worry not! Brush immediately after eating or drinking food that stain teeth and use a good bleaching agent recommended by your dentist. Tip # 6: When to buy a new toothbrush? Change your toothbrush every two or three months for good dental and oral health. If you use the same old toothbrush for a long time, then the bacteria will collect on the bristles and will go back into your mouth. Moreover, the bristles will become soft and will not be able to remove plaque and bacteria properly. Choose a soft-bristled toothbrush which fits your mouth comfortably. If you choose any random toothbrush, you will face difficulty while brushing your teeth; like bleeding of the gums. Due to these reasons, you will not brush your teeth effectively and you will not be able to maintain the desired dental health. While playing or carrying out dangerous adventures, use a mouth guards to protect your teeth. Mouth guards will help to prevent damage to your teeth and gums. Brush with baking soda or salt at least once a week. Use it as a toothpaste substitute. Brushing with baking soda, will help to remove stains and white your teeth quickly. Rinse your toothbrush or any other mouth cleaning equipments thoroughly after its usage. Store your toothbrush in an upright position, to avoid contact with dust or any other fine particles and allow it to air dry until next usage. Avoid oral piercing and oral tattoos as far as possible. Stephen says, "Both oral piercing and oral tattoos can be bad for your mouth and overall health, as it leads to transfer of bacteria." Choose good fluoride toothpaste. Good fluoride toothpaste will help to toughen your enamel by making your enamel tougher for bacterial acids to break down. It will also help to prevent plaque buildup and keep your teeth white and healthy. Every morning gargle with apple cider vinegar and then follow with regular brushing. This technique will help to remove stains and whiten the teeth. Vinegar will also help to kill bacteria present in the mouth and gums and will ensure good breathe. For good dentall health and to prevent gum disease and other health problems, make sure you schedule a regular dental cleanings and oral examinations. This will prevent you from spending on unnecessary expenses on major dental problems. Make sure you visit a dentist at least twice a year and tell your dentist about your various health problems before starting up any medication. Eat a healthy diet, full of nutrients to make your teeth and other oral tissues strong. Include loads of vitamin B food in your diet to make your teeth strong and healthy. 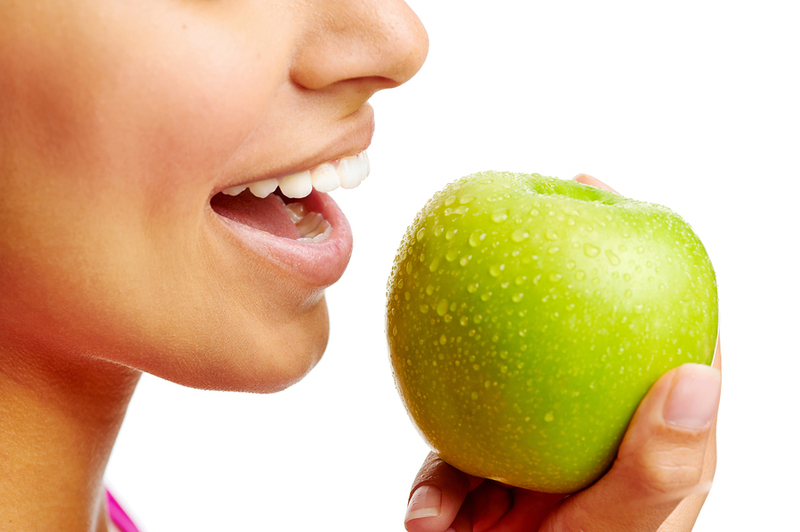 Avoid snacking between meals to maintain pearly white teeth. If you choose to snack, try to eat healthy foods without sugar. Just as brushing your teeth helps to remove plaque from the surface of teeth, similarly flossing helps to maintain hygiene and remove plaque from in between the contact points of teeth. Flossing your teeth at least once a day is very important, as about 90% of cavities occur between teeth. Hence, floss before you brush to remove plaque and food particles.